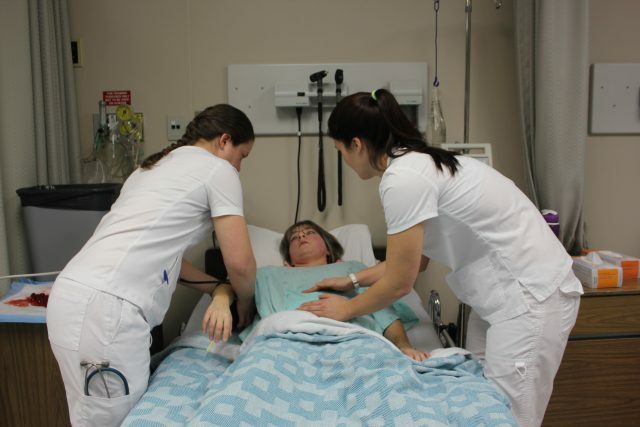 The Faculty of Health Studies at Brandon University offers a four year program leading to a Bachelor of Nursing (BN) degree. This professional program will prepare graduates to work in a variety of settings with individuals, families and communities to promote, maintain and strengthen health. Opportunities for careers in nursing are numerous and diverse. Professional nurses’ associations in Canada are predicting a dramatic increase in the demand for nurses. Graduates of the BN program will be eligible to write the qualifying examinations for licensure as a Registered Nurse (RN) with the College of Registered Nurses of Manitoba (CRNM). All students are required to consult with the BN Student Advisor prior to designing their program and on an annual basis thereafter. Please contact: Tracey Collyer, BN Student Advisor, Phone: (204) 571-8567 or E-Mail: collyert@brandonu.ca.